Sleeps up to 40 in 21 bedrooms with 20 bathrooms. Weekends from £1,700 to £5,000, full weeks from £2,000 to £7,500. For shorter stays please enquire. 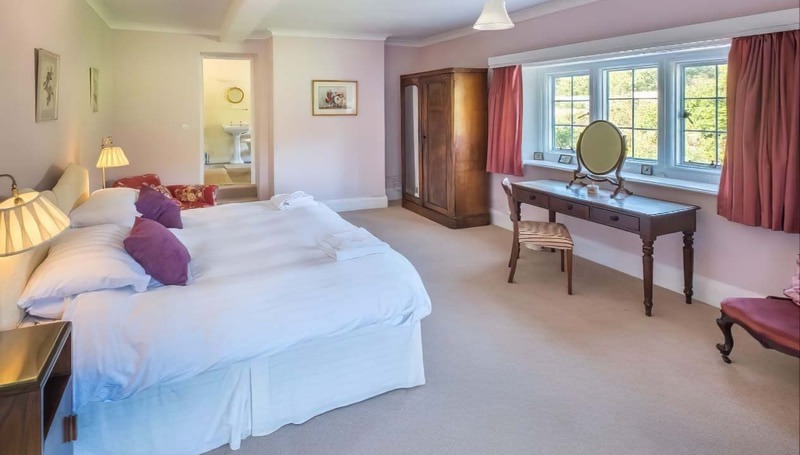 If fully occupied, price per person per night is usually between £7 and £42. 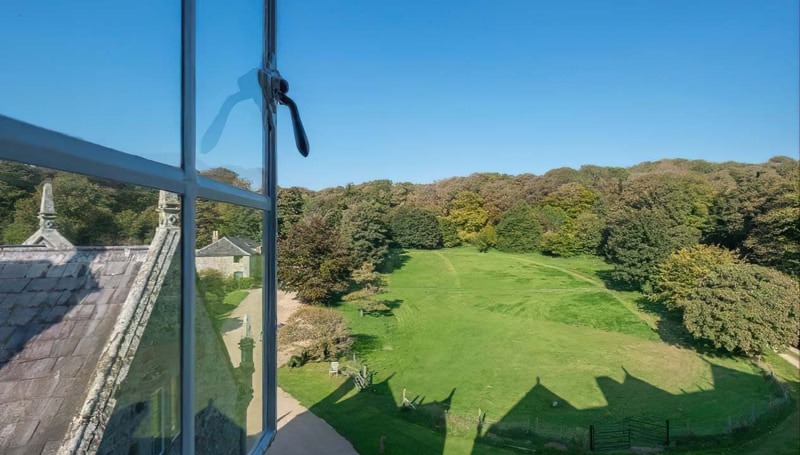 The best country house venue on the Isle of Wight, giving you an experience of a lifetime in one of the most beautiful locations in the UK. A country house wedding but not at country house hotel prices. Seats up to 75 indoors and the total venue capacity is 120. 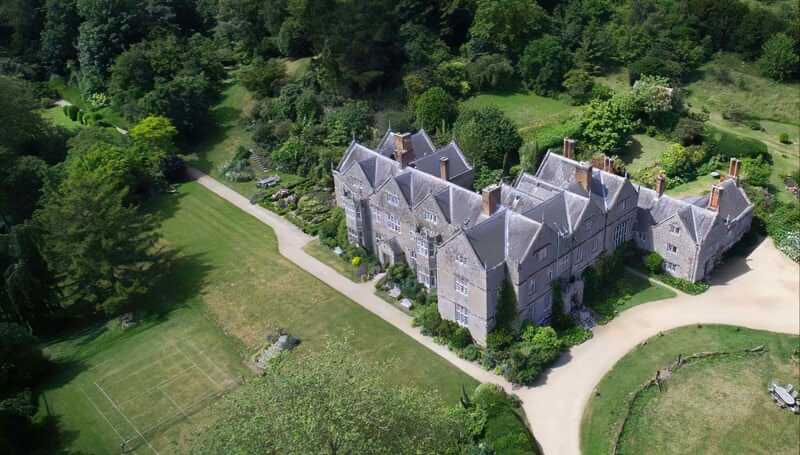 Northcourt is the largest family-owned manor house on the Island, and was built in 1615 by Sir John Leigh, who was the Deputy Governor of the Isle of Wight. 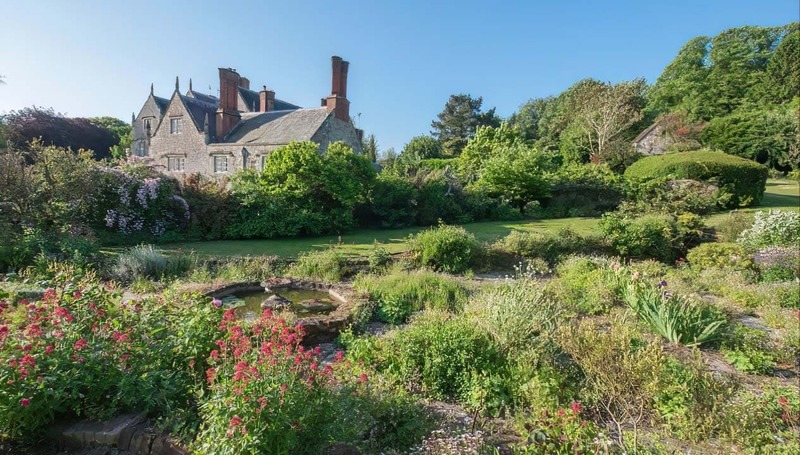 Northcourt is a Grade II-listed Jacobean manor house on the Isle of Wight, set with 15 acres of splendid gardens. It is suitable for all sorts of parties and celebrations, as well as for corporate and business use. The house can sleep a total of 40 guests, and can be rented separately or altogether in three parts: the North Wing (sleeps up to 18 adults with two children’s beds), Little Northcourt (the West Wing, sleeping 14 adults and 2 children), or Northcourt (the East Wing), which sleeps 12 for Bed and Breakfast. The North Wing was originally the ‘front’ to the house, and has the grandest guest bedrooms and reception rooms. There are nine bedrooms and eight bathrooms, and fold-up beds and cots can be supplied for children. 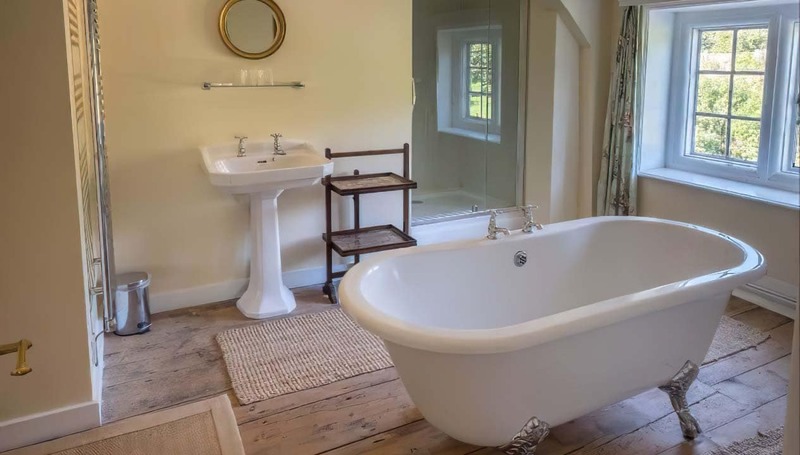 One of the bedrooms is on the ground floor and has an en-suite, great for guests who’d rather avoid stairs. 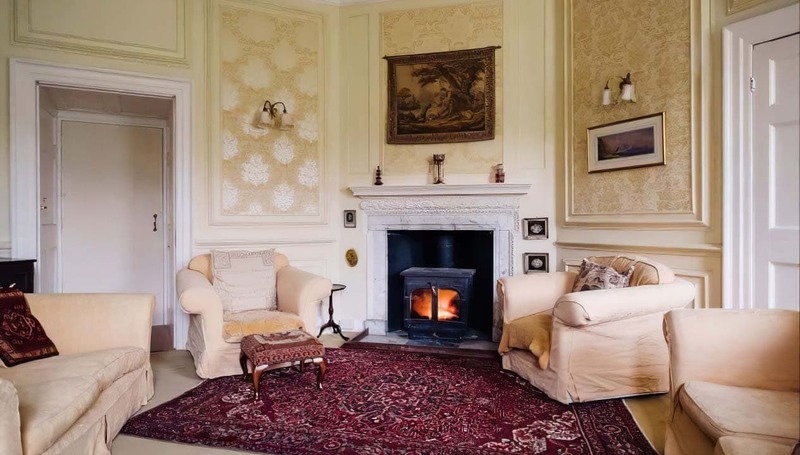 The reception rooms include a kitchen (with a table for 16), a living room and the ‘Music Room’, which has high-ceilinged and painted a glorious raspberry pink. 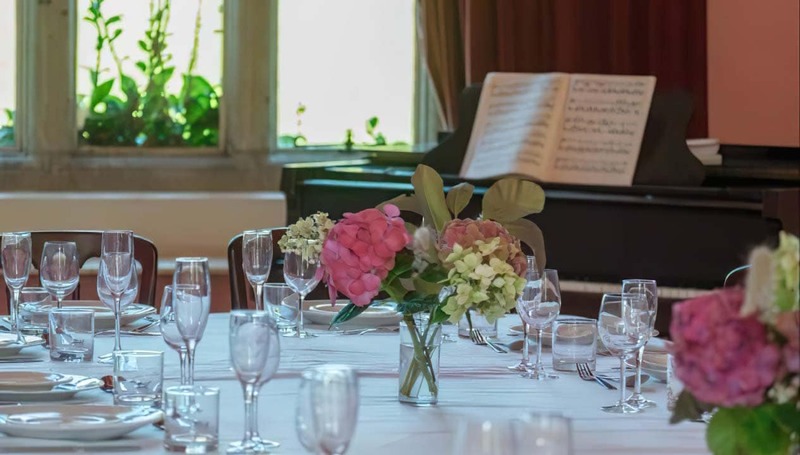 It also has a grand piano and can be transformed to provide formal dining for over 50 guests. Outside, there is a south-facing terrace and a three-acre Games Field, for raucous game-playing. Or impromptu lacrosse, if you’re feeling Blyton, and have the sticks. There’s also a grass tennis-court, with a net. Little Northcourt was originally the servant’s wing, and has a more relaxed and home-like feel than the North wing. 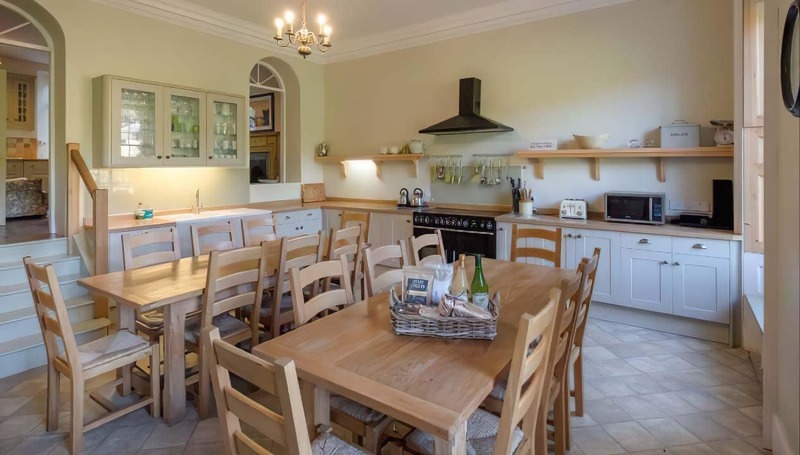 The house sleeps 14 in 7 bedrooms with 7 bathrooms, and children’s beds and cots available. One of the bedrooms is on the ground floor. There’s also a playroom, upstairs. 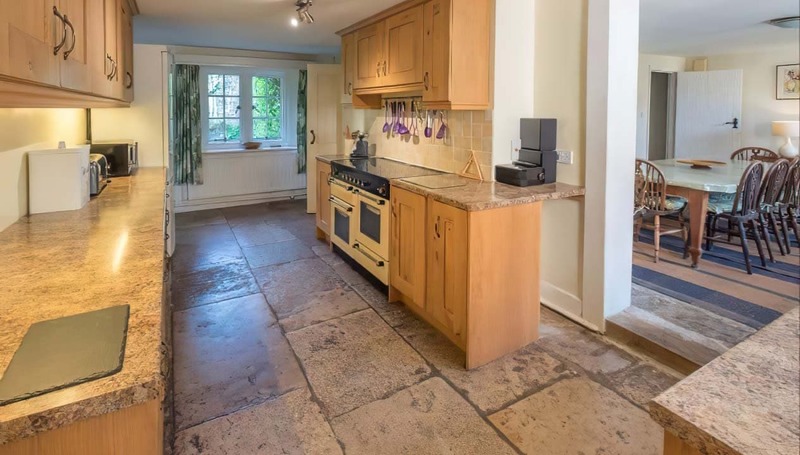 Downstairs is a large kitchen, and a breakfast room (seating 10); a living room and a sun room, which leads onto the garden. The garden is south-facing, enclosed and private. Guests are welcome to share the Games Field. 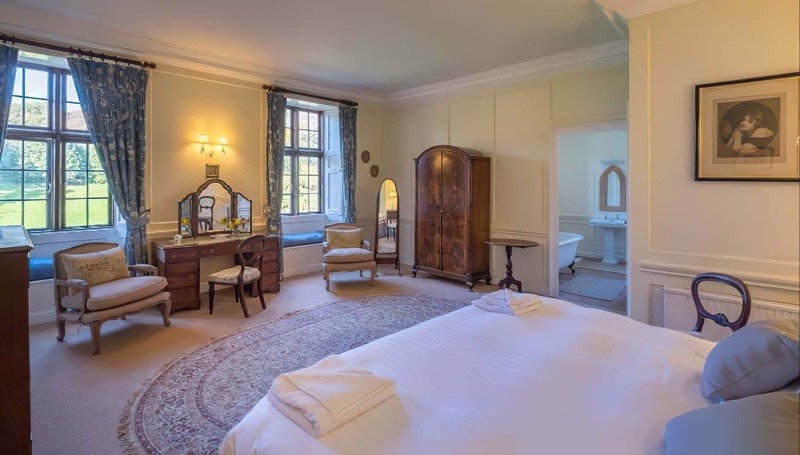 The East Wing operates on a Bed & Breakfast basis, and has six bedrooms, with a sitting room (with pipe organ), and dining room. Northcourt is on the south-west of the island, within an Area of Oustanding Natural Beauty. It’s close to the beaches and the Downs, for some very fine walks. The nearest village is Shorwell, which has a shop and a pub. The team at the house can help you organise many distractions, from Boot Camps to Spa treatments to hot tubs. The house is often used for corporate events – anything from product launches to AGM’s, dinners and talks. There is Wifi and the reception rooms can be used in a flexible manner. The house holds a limited number of wedding breakfasts or receptions, and the church is within walking distance. A marquee can be erected on the lawn, or the Music Room can be used for up to 75 guests. To call this a B&B really doesn't do it justice. 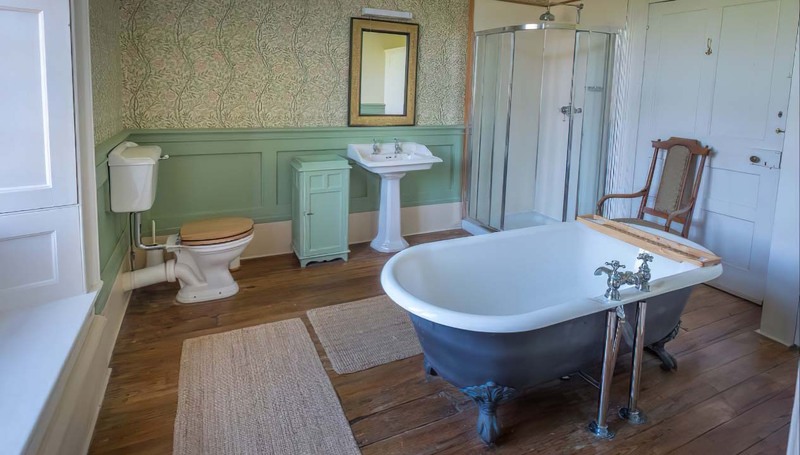 It's an old manor house, restored with care and attention to detail. The welcome was warm and friendly, the rooms are superb and the wonderful breakfasts included food from the garden. The grounds were huge, and very attractively laid out, with a good pub at the end of the garden! It's ideally located for anywhere in the Isle of Wight. I'd recommend Northcourt without hesitation. We have recently stayed at the B & B part of Northcourt for 3 nights and really enjoyed our break. The property is amazing and a very grand place to stay. The grounds are immaculate. We wanted peace and quiet and we certainly got that. Our room was large and the bed was SO comfortable (we slept extremely well) but the shower was an issue for us (it's in a wardrobe). Others may find that this doesn't detract from the overall splendour of the room but we found it did. The breakfast was very fresh & tasty but a bit limited. We had seven families staying in the 2 main houses. Everything was fantastic with a great welcome pack and amazing rooms. The gardens are truly special and the owners were very tolerant of our rabble. The walking and cycling from the house is brilliant and you’re very central so everywhere is less than 30 mins. Highly recommended from a group for whom this is their 24th year of big house stays. We stayed at Little Northcourt over Easter with family. The house is very well suited for families with children looking for a comfortable base from which to explore the island. The owners were great throughout the booking process helping with our journey and organising rooms to suit our group. The kitchen was very well equipped and catering for a large group was no problem. 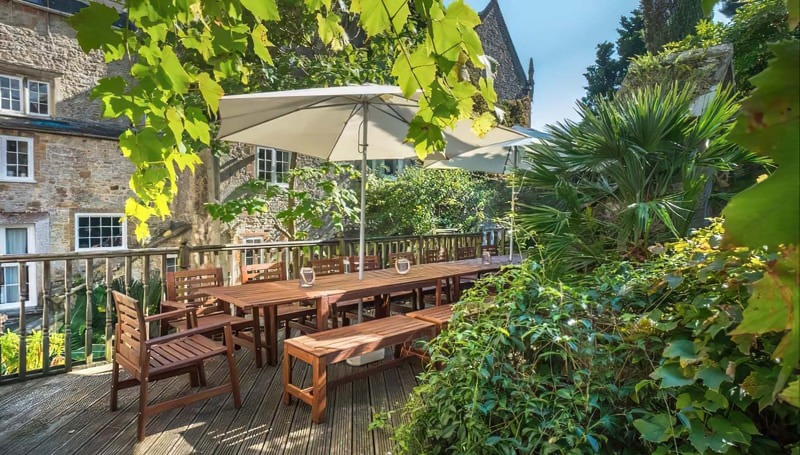 Set in lovely grounds, there’s plenty to do nearby and a good local pub in the village that was happy to cater for large parties. All in all a very relaxing place to be. Fourteen of us spent Christmas week in Little Northcourt. It was fabulous. 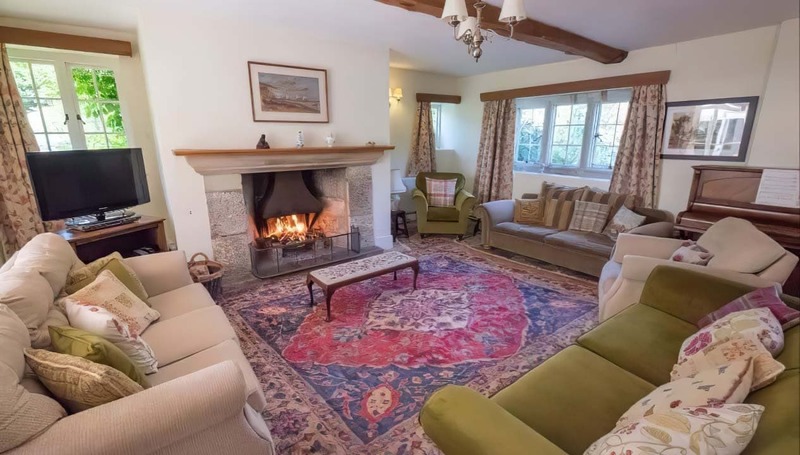 The spacious rooms were perfect for our get together and the beautiful log fire made it really cosy. The house was ready for Christmas when we arrived, with a decorated tree and other seasonal touches. Even in the depth of winter we were able to enjoy walking through the lovely gardens and we were able to take a short cut to and from the midnight service in the church. James and Katherine went to so much trouble to make our stay memorable and happy and we really enjoyed the welcome basket of goodies, Thank you both very much and thank you also for finding and returning my lost glove. We had our wedding reception at Northcourt, John, Christine, James and Katherine were all so helpful, understaning, flexible and kind it made the whole organisation really easy. The house itself was a stunning background. 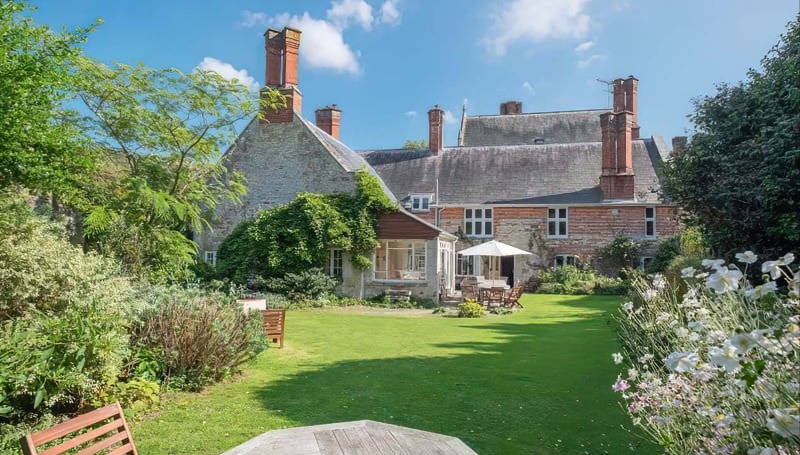 We filled it with guests, all of which were delighted by the genuine elegance of the house, the beauty of the grounds and the incredible gardens! Thank you!